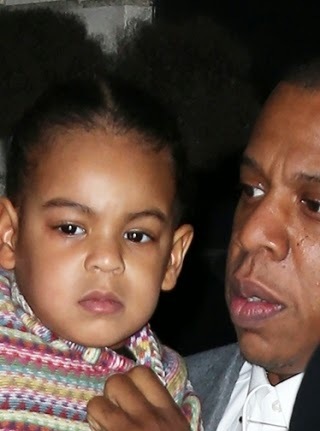 Every knows she looks like her dad...but check the right pic...she's beginning to look like Beyonce as she grows older. 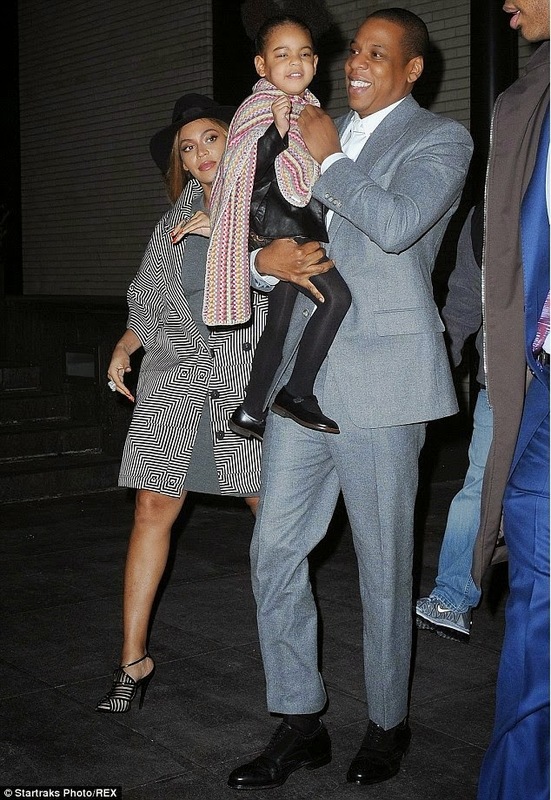 Plus she's so tall now. 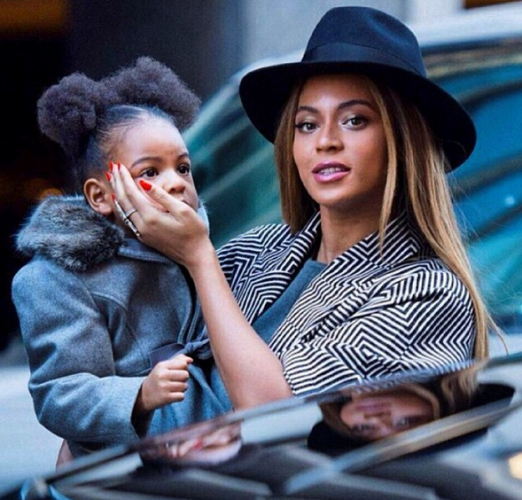 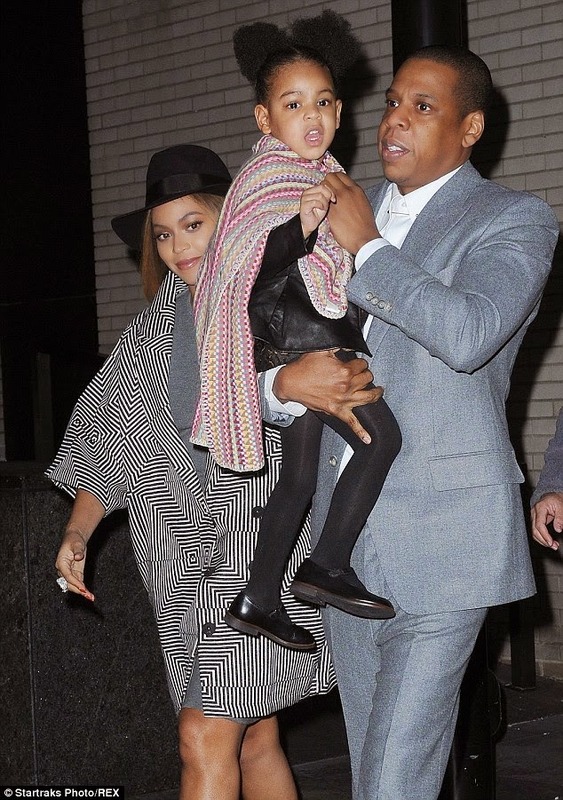 Blue Ivy pictured arriving at the Annie movie premiere yesterday in NYC with her parents. 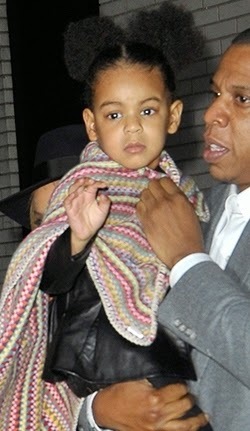 Jay Z is one of the producers of the movie.